Having a preschool class mascot for your classroom sounds like a huge responsibility and it is. 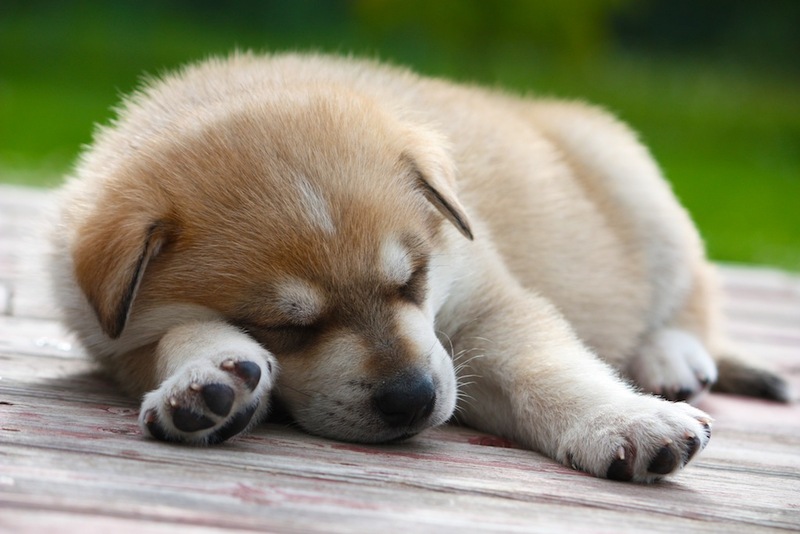 A classroom pet requires a lot of care – just as much care as having a pet at home. Teachers, if you are not up to the task, there is another way to do it. Bring toy mascot to school, instead. Recently we had a furry visitor come to our class who was absolutely no trouble at all. Gilbert The Dog is a very realistic looking stuffed toy beagle. He was easy to manage and such a good little boy. This toy looks so real, for a moment you might even think you were looking at a real dog! Gilbert was actually the classroom mascot for the first graders. One time a week, he went home with a child who wrote about what he did as a guest in their home. Eventually they ran out of children in that classroom to take care of him so it was time for Gilbert to do something new. Our preschool class was delighted to pitch in and have him join us for a day. 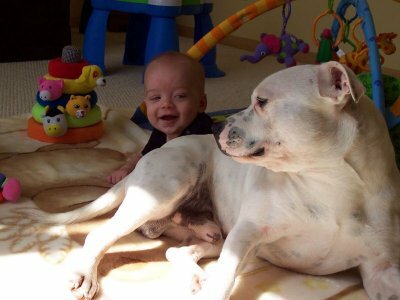 The children took him from place to place, petting him and showing him around. He read a book. He sat on the windowsill. He looked out the window. He joined them for circle time, too. He even watched us making our craft of the day. Gilbert had a great time in preschool and we wrote about it in a little story for the first grade class to read. So, if you prefer to not have the responsibility of a live classroom mascot, I do recommend a stuffed toy that looks real. There are so many plush toy animals on the market that look very realistic, like Gilbert does. 1.Show and Tell Another idea that requires very little care on the part of the teacher is to invite a live pet to visit for show and tell, like the cute guinea pig that came to our classroom. 2. You could also arrange for a therapy pet to come by. Therapy dogs can come to your class for part of a day, managed by their handlers. It will be a wonderful experience for your children. 3.If you are truly adventurous, contact the local reptile store. Ask them if they make classroom visits. The reptiles can be brought in by trained handlers so everything will be safe and sound. Our kindergarten teacher did just that and it was a great success. Even the most timid child was willing to take a closer peek at those fascinating creatures. Have you ever had a classroom pet? What kind? So you want to get your family a new pet. A little concerned about the commitment? Well, then, you may want to get them a guinea pig. Well, not just one – get them two guinea pigs! Guinea pigs are small domesticated rodents, originally native to South America. These little balls of fur, also known as cavies, are affectionate, fun, hearty and easy to care for. They are small. Most weigh 1.5 to 2.5 lbs. So, why isn’t it right to get just one guinea pig? Guinea pigs are very social creatures and, to have a happy life, they need at least one companion guinea pig to live with them. If they live alone, guinea pigs can become withdrawn and depressed. Happy guinea pigs always have at least one other guinea pig to be their friend. Important note: if they are not spayed or neutered, be sure to get guinea pigs of the same gender. See the articles below for specific foods guinea pigs should or should not eat. So you have made a decision and you are getting guinea pigs for your family. Now, you have to get some stuff! Children are fascinated by cats and my preschoolers are no exception. 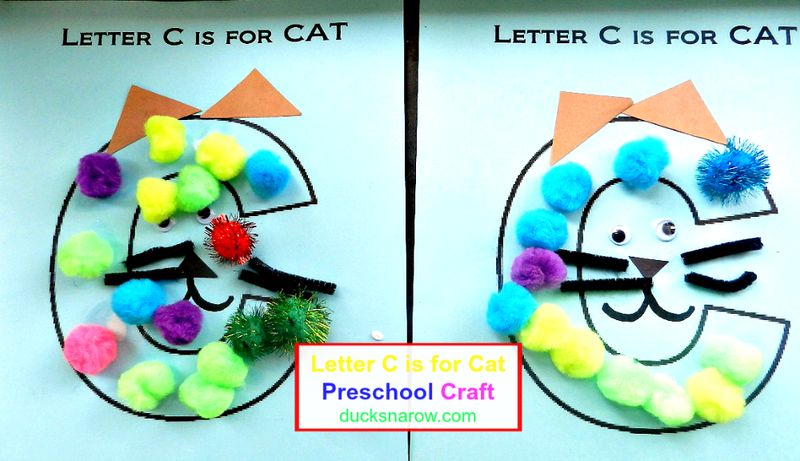 The Letter C is for Cat preschool lesson was super-fun. We learned fun facts about cats, sung about cats and made a colorful cat craft. We even pretended to be cats, meowing all the way. 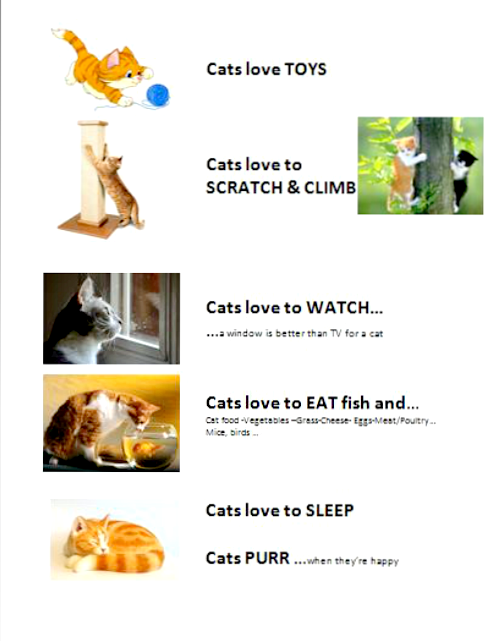 I do know that little children are fascinated by cats and learning the letter C is so much fun when cats are the topic! We learned about cats in many ways. We made kitty ear headbands to wear, read a cat book, learned fun facts about cats, saw a cat video, painted faces with cat whiskers, sang a cat song and made a letter C cat craft with pom poms. Here is a simple description of the lesson with free printables plus the video for you to use. Make Cat Headbands – simply attach construction paper “kitty ears” to a construction paper band, taped to fit their heads. I printed the ears on white copy paper for them to color and the students cut them out. We wore our cat headbands all day! Face Painting – we saved face painting until later in the day so that when the parents arrived to pick their children up at the end of the day they could see how cute they looked. The kids who wanted us to paint whiskers on their faces and a dot on their noses, could. I brought in a handheld mirror for them to see what they looked like. About half of my students wanted it and half did not. CATS LOVE to scratch & climb. CATS PURR when they’re happy. 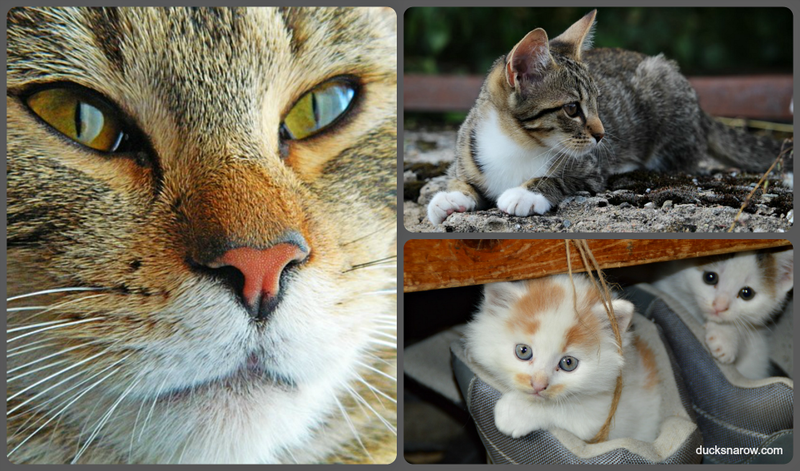 All about Cats short video – this video is a great companion for the Cats lesson. Perfect for 3 and 4 year olds. See it right here! Cat story – I brought in several cat books from the library. Some were picture books and some were stories. Small paper cup for the glue. Make a sample of the craft for your students to see. Tell your children that they are turning a letter C into a cat! Have them run their finger tracing the letter C.
Have them glue the ears, eyes and nose on using a Q-tip dipped in glue. Glue pom poms around the C for decoration. Cover each section of this visual aid with a piece of paper. I used red so that the kids could not see through them. Then – on each section – I taped one side and used a paperclip on the other end making it easy to remove and reveal the fun facts about cats one by one. I do hope you use this Letter C is for Cat lesson. Kids love it! If you have taught C is for Cat recently and need something else try my C is for Caterpillar Craft and Very Hungry Caterpillar Graphing Activity for preschoolers. Summertime fun is not just for people. 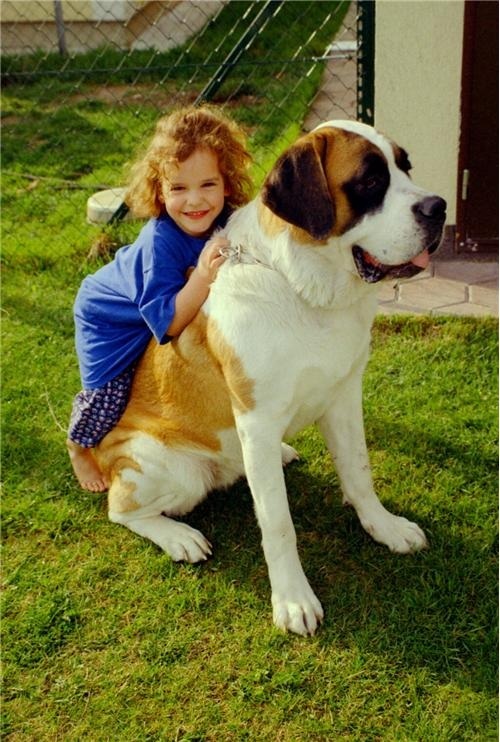 If you are a dog owner, you know that we often plan our summers much like we do for our kids. Our precious pups need variety in their lives, too. Well, I have a whole lot of ideas this summer for Sadie. Quickly, they include: swimming, play dates, field trips, ice cream outings and toys! 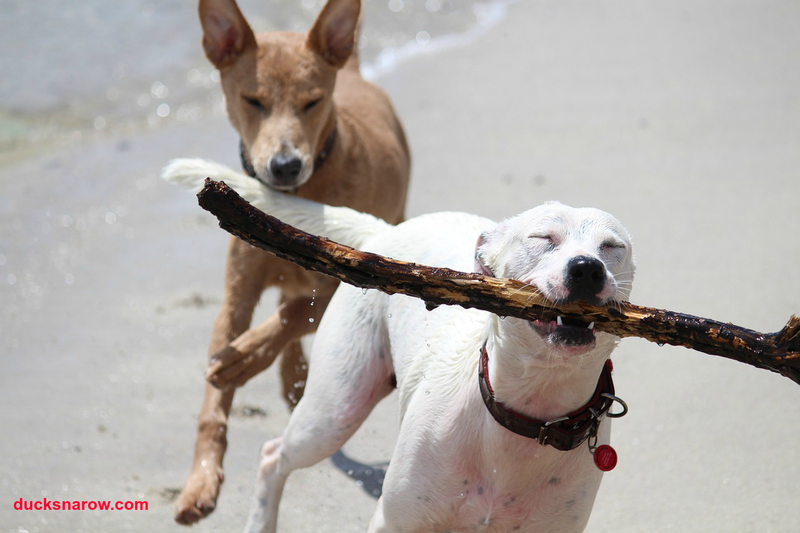 Plan the best summer ever for your dog! 1. Swimming: labs love the water. They were made for it. I wish I had a lake for Sadie to swim in but her little wading pool will have to do. Her favorite floating toy is an empty plastic soda bottle 🙂 She chases that thing around and around like it’s a boat! Sometimes I shampoo her while she’s “swimming,” too. It is the perfect opportunity. 2b. Play Dates – outdoors on dry days. Sadie has LOTS of friends! These two beauties are Indie and Bear, Sadie’s cousins. The friends on the other side of the fence are Coal and Odie. 3. Go On Field Trips – this week we took Sadie to PetSmart to buy her Purina® Pro Plan® Savor® Shredded Blend large breed adult dry dog food. Her cousin Jake loves it so we decided to give it a try. Sadie can hardly wait to get to PetSmart. As we pull closer to the store, she gets more and more excited. As a puppy, she took the beginner’s doggie obedience class and graduated with honors! She also went to dog camp once a week while I taught preschool. Oh how she loved it and she remembers. So, when we go shopping, first thing we have to do is to stop at the dog camp window to say hello to her friends! 4. Going For An Outing- on the weekends we often go for a long drive in the country and Sadie gets to see all the sights! 5. Play With Toys – Sadie has lots of toys to play with. This ball is a favorite with her and her friends. As I said, often our field trips include a visit to PetSmart! Sadie loves that place! She has many fond memories of dog camp with her friends so we always have to go visit them before any shopping can be done! After a quick visit at the dog camp window, we hunted down the dog food aisles. We were looking for the Purina® Pro Plan® Savor® Shredded Blend large breed adult dry dog food. It was easy to find and, at my store, there were lots of bags in two places: on the main Purina aisle and displayed on the end of the center aisle, as well. We found it all right away. Sadie and I looked at the flavors and selected the chicken and rice! Since Sadie is changing dog foods, I am introducing this new Purina® Pro Plan® Savor® Shredded Blend large breed adult dry dog food gradually. First day I gave her a half and half mix and it agreed with her very well. In a few days, I will increase it to 3/4 new and 1/4 old. Within a week we will be totally switched to the new. And, guess how my “little” yellow lab (OK my 100 lb yellow lab) eats it. She eats the Purina Pro Plan FIRST! She loves the taste. Want to know what I love about it? She gets variety with the crunchy kibble pieces along with the softer tender shredded pieces. It must taste really good. She gobbles it down! Sometimes she picks the crunchy pieces to eat first. Other times, she eats it all at once. Sadie loves her new dog food! Does your dog eat standing up? This silly girl eats lying down. Go figure! Hey, here is something special for you: SPEND $15 on any Purina Pro Plan product anytime from 5/31-7/5. SAVE $15 on your next purchase of 10.5 lbs or larger Purina® Pro Plan® Dry Cat or Dog Food or Litter by July 31st. 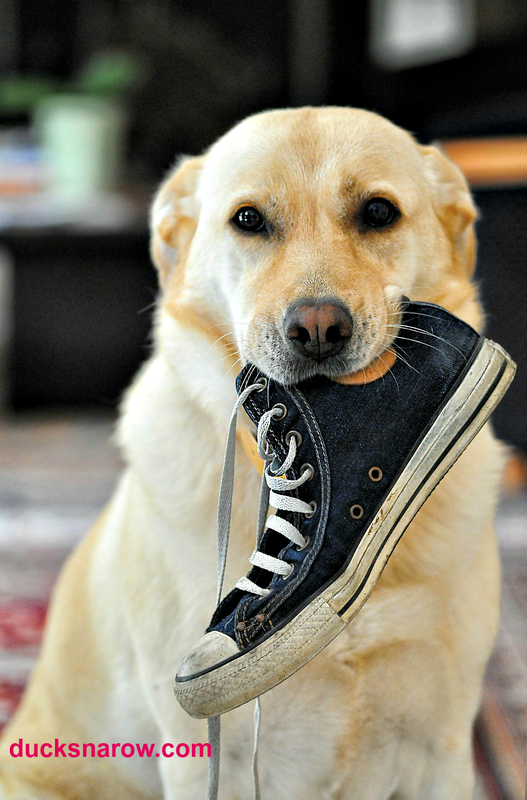 Keep Your Dog Busy and Away From Your Shoes! Dogs are natural chewers. Just watch what they do if left unattended for too long. Many have enjoyed a good chomp on a favorite pair of bedroom slippers or the leg of a dining room chair. It is important that you redirect your dog’s natural propensity to chew to objects that he is permitted to have. Beef marrow bones are a good choice. Raw marrow bones can be purchased from the meat department of your local grocery store or pet store. Select a bone that is the right size for your dog. Larger breeds will need a hefty sized bone. Tiny dogs needed smaller ones. They’ll need some preparation, though. PRECOOK THEM. 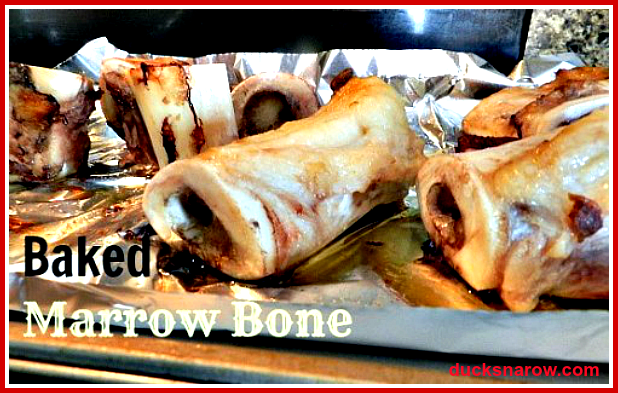 Put the raw bone on a baking sheet covered with aluminum foil. Place it in an oven preheated at 350°. Bake it for about 30-40 minutes. Remove it from the oven and cool for at least 30 minutes. Then place it in a plastic bag, separating them with waxed paper to prevent sticking, and freeze for future use. You may want to prepare several at a time, to build up a supply. NEVER give a dog a hot or warm marrow bone. You don’t know how hot it may still be inside. Freezing assures burn prevention. After your dog has enjoyed his bone, now what do you do with it? He will revisit it often, so don’t throw it away. When a time comes that you’ve run out of new bones to give to him, find a used one and stuff it. My yellow lab is a chewer. It’s hard to keep up with her. I cannot vouch for health safety on this but I do try to protect her. What I do is I wash the empty marrow bones in soap and water, rinse in very hot water and drip dry. Then I combine dry dog food with a little bit of canned dog food–I buy the organic kind. 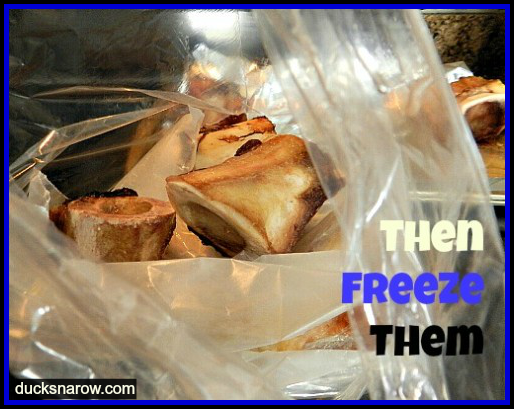 Then I stuff the dried marrow bones and freeze them. Whenever Sadie needs something to chew, they are ready. Mind you, sometimes I do as many as 12 at a time! It is work but, especially when I do not have time to play ball with her or take her for a walk, they come in very handy! Ever Give Your Dog An Ice Cube? Yes, ice cubes make good snacks and great toys for dogs and puppies alike. Some dogs will enjoy chomping on the cold cube. It’s especially soothing for teething pups. Others will chase the ice cube on a smooth floor like a hockey player with a hockey puck! Just watch out for slippage when it comes to people walking on the “rink.” Use caution. Next time you empty your mouthwash bottle (large size), wash it out, firmly replace the cap and give it to your puppy. She will bat that thing all over the floor for hours of inexpensive fun. It could become her favorite toy! Safety Precaution: with pets, as with children, supervise their play. Dogs should not be allowed to swallow plastic or other foreign objects. If a playtoy becomes a health hazard, remove it from the premises and discard it. ANOTHER GREAT DOG TOY IDEA: if you are looking for a plush toy that will keep your dog busy for hours, try the Intellibone Puzzle for Dogs (unlike many plush toys that will be destroyed almost instantaneously, this toy will be around for a while! Though the initial outlay for this toy is not exactly “cheap”, the longer life will make it a great investment in the long run.Dogs love it…and their owners do, too! 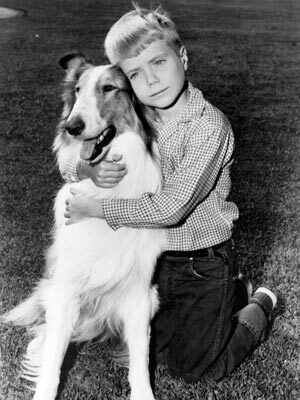 Safety Precaution: Never give a dog a chicken bone or any bone that splinters: when bones are dangerous to dogs.